The ICC move would mark the first time that a formal ICC investigation has scrutinized US actions and sets up a possible collision with Washington. 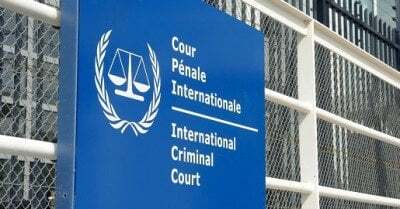 Established by the Rome Statute of the International Criminal Court (ICC) on July 1, 2002, it’s mandated to prosecute individuals for genocide and aggression, as well as crimes of war and against humanity. Instead, it functions solely as an imperial tool, supports powerful interests, targets independent states Washington and other Western nations oppose. It lets America, its NATO partners, Israel and their rogue allies get away with mass murder. Bosco cites unnamed sources, indicating chief ICC prosecutor Fatou Bensouda “will seek to initiate an investigation in the coming weeks, likely after the US presidential election but before the end of the year. “US officials visited The Hague,” letting her know who’s boss. It’s unclear where she intends to go. On October 7, 2001, US-led NATO forces attacked Afghanistan without just cause – less than four weeks post-9/11, naked aggression planned months before that fateful day. Appalling war crimes followed, continuing daily. All post-WW II US wars were and continue being waged illegally against nonbelligerent countries reflecting over 70 years of unaccountability. No US government or military official ever faced charges for Nuremberg-level high crimes. It’s irrelevant what Bensouda does or doesn’t do. Helms at CIA orchestrated Operation Phoenix in Vietnam, an assassination program claiming thousands of lives. Hillary Clinton, as junior New York Senator, supported the Hague Invasion Act. America and Israel, among other countries, failed to ratify the Rome Statute of the International Criminal Court. They remain unaccountable for the highest of high crimes. Expect Bensouda’s investigation, if initiated, to accomplish nothing. No internal or external judicial body ever tried holding America accountable for decades of Nuremberg-level high crimes.